WHEN WE, the average Joe, picture economists and the work they do, we usually imagine them as dry-as-bones number crunchers. We don’t often see economists as flesh-and-blood humans with a deep concern for the welfare of the communities they are studying. 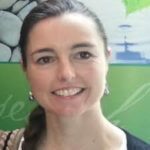 Professor Sarah Wheeler is a highly respected agricultural economist with research interests in irrigated agriculture, water markets and trading, and farmers’ mental health. She is from a farming background. She is one of a number of flesh-and-blood water and agricultural economists actively pointing out the need to change policy settings on the Murray-Darling Basin Plan for the sake of the affected communities. One controversial issue at the centre of the policy debate is water buybacks. The Murray-Darling Basin Plan (the Plan) established that 2750 GL of water needed to be returned to the river ecosystem in order to guarantee a sustainable level of take (one GL is a hundred billion litres). Buying back water from water holders was an important tool to secure this water but, as I have earlier written, it was immediately contested and immediately politicised. Water buybacks have long been a tool of water recovery. They involve water holders selling their water licences voluntarily to the Commonwealth, so the Commonwealth Environmental Water Holder can hold that water in its own portfolio and release water when needed as environmental flows. In March 2015, the Abbott government legislated to impose a cap of 1500 GL as the amount of water that could be sold back to the Commonwealth. The government alleged that buybacks were the cause of economic and social devastation of rural communities. Instead, the Department of Agriculture and Water Resources (DAWR) – then under Barnaby Joyce – prioritised subsiding infrastructure modernisation, on-farm for irrigators, and off-farm for irrigation infrastructure operators. The rationale was that such subsidies are water-saving mechanisms because they prevent leaks and evaporation. To date, the 1500 GL buyback limit has not been reached (there are about 276 GL that could still be bought back), but Wheeler (and many other prominent water experts) believe that this limit has had the psychological effect of killing off buybacks entirely. And this, she argues, is a very bad thing. Recovering water by modernising irrigation infrastructure is conservatively at least 2.7 times more expensive than by buyback – some of her work suggests it can be up to 15 times more expensive. The DAWR argues that infrastructure modernisation is worth the extra cost because it minimises the negative economic and social effects of buybacks. Wheeler told a Senate committee in March that buyback “has been demonised”, particularly in the rural press, which finds a negative story to tell about it almost every week — and the consequences of this on ordinary people have been horrendous. She points to some key issues. Firstly, the DAWR and Murray-Darling Basin Authority (MDBA) “independent” reports on the success of the infrastructure programs are “independent” in the sense that consultants got paid to do them, not the MDBA itself. Some have been proven plainly wrong. Others have gaps in them, like on the issue of “return flows“, which if correct, would blow out the costs of irrigation subsidies by many orders of magnitude. It would also mean that little, and maybe none, of the water supposedly recovered by infrastructure modernisation is actually real. Secondly, a great deal of Wheeler’s (and colleagues’) work consists in arguing that the water buybacks were not actually the key drivers of economic declines in river communities. Thirdly, infrastructure subsidies build perverse incentives into the system. They can actually end up causing farmers to use more water overall. Infrastructure subsidies incentivise farmers to change their crop mix to include more permanent, water-thirsty crops (like almonds), and also increase the area of land under irrigation. The “saved” water is not returned to the river but used to plant more crops. Irrigation infrastructure also increases electricity costs, a major driver of stress and mental health problems. Likewise, by prioritising infrastructure modernisation rather than water buyback, the farmer does not have the flexibility to reduce debt. Barnaby Joyce’s opposition to buybacks was well-known and when he became Water Minister in 2015, he maintained his public hostility. Joyce declared there would be no more buybacks of water entitlements but then strangely authorised three major “strategic purchases” after being approached by farming companies. These “strategic purchases” are essentially water buybacks, but are not subjected to the usual open, anonymous tender processes, intended to ensure “bang for buck”. Rather, strategic purchases are done by direct, often confidential, negotiation. While there were also strategic purchases under the Labor government, these were a very small amount of the water purchases by the government overall. It is striking that the DAWR should have become involved in these three large purchases, involving agribusinesses, all of them related in one way or another to big cotton and its lobby groups. 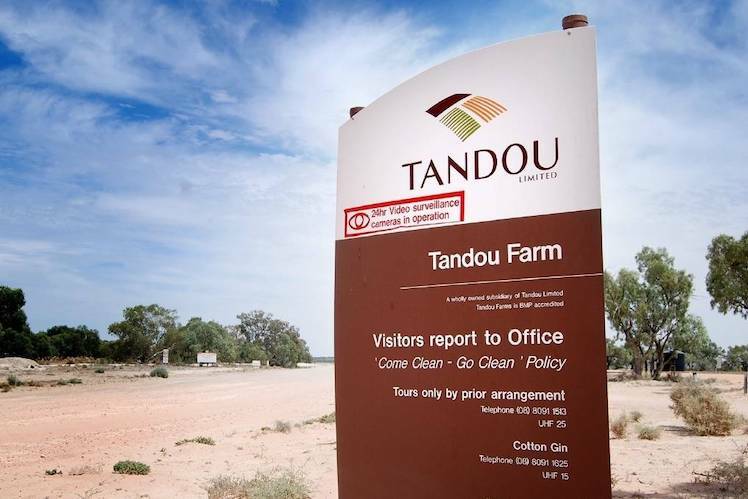 The story of the Tandou purchase is a case study in what could be the real problem underlying water recovery, which is that there seems to be one rule for big business, and a different rule for everybody else. 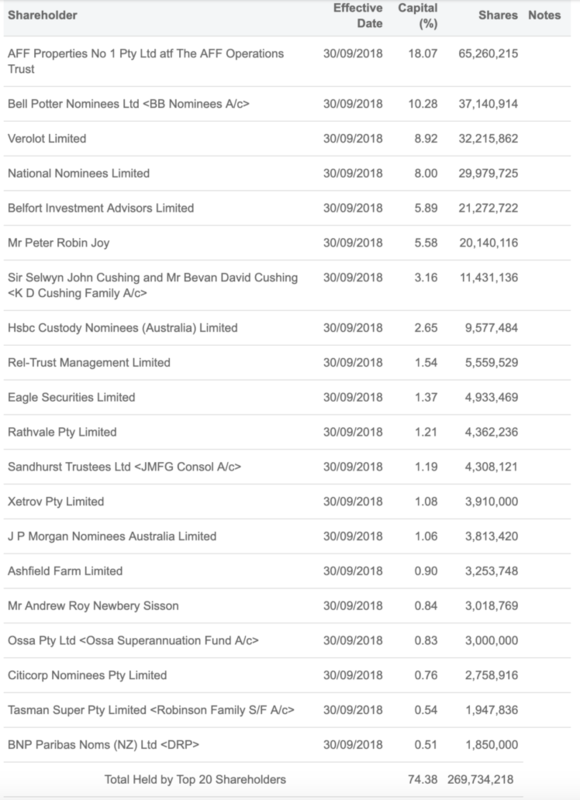 In June 2015, the agribusiness Webster Ltd, Australia’s biggest walnut grower, bought Tandou station – a struggling property near Broken Hill and the Menindee Lakes – as well as two other major cotton properties upstream on the Darling at Bourke and Moree. Webster is arguably the largest private Murray-Darling Basin water rights holder in Australia. Its directors at this time included Chris Corrigan, famous for sacking his entire workforce in the 1998 Patrick waterfront dispute, and John Joseph (Joe) Robinson. The Robinson family are important and extremely well-connected cotton lobbyists. Robinson’s father was a past director of the cotton industry’s peak lobby group Cotton Australia, and Joe Robinson is chair of the Gwydir Valley Irrigators Association and of Barwon Darling Water. He was appointed by Barnaby Joyce to the Cotton Research and Development Corporation Selection Commission (a statutory body), and to the NSW Primary Industries Advisory Council by former NSW Water Minister Niall Blair. The Robinson family were major shareholders in Webster Ltd until at least 2018. In quick order, in 2017, Webster negotiated to sell its water licences near the Menindee Lakes. The former head of NSW Department of Primary Industry’s water division, Gavin Hanlon, wrote to the DAWR on 23 December 2016, suggesting it buy Tandou. Recall that Gavin Hanlon is the disgraced public servant filmed offering debadged and confidential information to irrigators in the ABC report Pumped. He resigned and is now under investigation by ICAC. The Commonwealth paid $78 million, and Webster informed its shareholders that it had made a $36m profit on the sale. So what did the DAWR get for all this money? Well, the DAWR got $38m worth of water licences (for 21,901 ML of water, a full 100 per cent of Tandou’s on paper entitlement), and for about another $40m, the surrender of irrigation works approvals and the de-commissioning of irrigation infrastructure — effectively, compensation. Webster also received the next year’s water allocation, allowing them to produce an estimated $35m cotton crop. (The Australia Institute noted that “It is highly unusual, and probably unprecedented in rural property transactions for a buyer to gift next year’s allocation back to the seller”). There was a lot that was unusual about this operation. Extracting information from the DAWR on these strategic purchases required an order for production of documents from the Senate (Senate order for production of documents 420). The DAWR redacted some highly significant particulars — but here is what we know. The Commonwealth paid the highest water price ever paid for these licences in the Lower Darling, and the prices applied were Murrumbidgee prices. The spend was almost double the valuation made by the government’s own evaluator, ABARES, as well as another private valuer. The DAWR was unable to explain why these prices were paid. The DAWR appears to have relied on the assessment of a private valuer commissioned by the NSW Department of Primary Industry, then headed by: Gavin Hanlon. Mull on this. Tens of millions of dollars disappeared right there. As for the $40m compensation for irrigation works, The Australia Institute has argued that no other water holders receive “compensation”, but just the value of their water licences. Tandou, arguably, did not need any compensation. It is huge and could easily be converted to drylands farm without incurring costs — unlike its neighbours, which are mostly small citrus and grapes irrigated farms. Part of the payment of $40m was for loss of future business and for the surrender of irrigation works approvals and the de-commissioning of irrigation infrastructure — yet The Australia Institute found no evidence of a need to de-commission irrigation infrastructure in the contract. All in all, the contract came in for what Webster’s asking price in its formal offer of 18 April 2017 was. It is troubling that the total value of the spend ended up being precisely the amount that the company was asking for. Creative accounting for ghost water? The water bought by the Commonwealth can be put towards its environmental water recovery target — but if that water doesn’t really exist, it will be “ghost water” and merely an exercise in creative accounting. The Commonwealth Environmental Water Holder – which holds the Commonwealth’s portfolio of environmental water – did not want the purchase to go ahead, because of the unreliability of Tandou’s water supply. In other words, Tandou owned water licences for water it might never see, because it was already disappearing upstream. 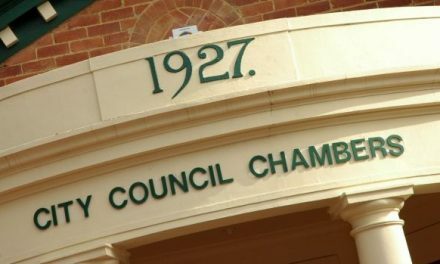 If this were not surreal enough, part of the case for making the purchase was that it was related to the Menindee Water Savings Projects — but the Commonwealth had no guarantee at the time of the water licence purchase that the projects the purchase were linked to would go ahead. The matter has been referred to the Australian National Audit Office for potential audit. We have seen a very small number of highly influential and very well-connected people go on huge, well-targeted spending sprees, and they have done so quite legally. Webster makes more money from water trading than from cotton, and this speculation on a vital commodity will immediately raise the hackles of many Australians. But in a dry year, this is as it should be, and follows the laws of the water market. Water trading by corporates per se, or the cotton industry itself, is not necessarily the problem. The real problem – which we all intuitively grasp – is that there is real political power being deployed by these actors. 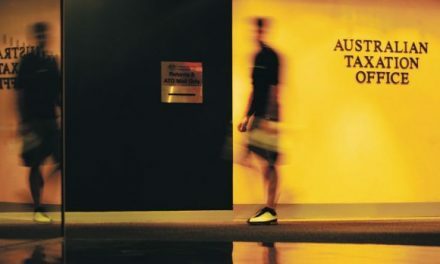 The Australia Institute has pointed to serious concerns about the suspicious speed with which the Tandou water licence sale was executed and the familiarity between department officers and the Webster managers. These are very legitimate concerns. There are deep networks of influence and many personal relationships between big cotton and its lobbyists, the National Party, which directly impact on water policy in the Commonwealth and in NSW — as I will demonstrate in upcoming pieces. There is a suspicion that the policy framework for the Basin Plan has evolved to become too favourable to certain large corporatised agribusinesses, leaving behind the economic and social interests of the River communities. Wheeler, who is one of many who advocate for investing public money into structural adjustment in rural communities to help them adapt to economic change, took pains to point out the opportunity cost of all this mis-spent money to the Senate. Likewise, in a recent interview for the ABC’s Radio National, Maryanne Slattery of the Australia Institute argues that that there was never any policy framework for regional economic development. Policy-makers thought that trading in water would result in water going to the highest value commodity, which it has done — namely, to cotton for annual crops and nuts for perennial crops. What policy-makers did not appreciate was the scale of the change. Large agribusinesses now are the owners of water, and water ownership has moved away from the older irrigation districts and irrigation schemes and from the family farms. Slattery notes that, at about the same time that Joyce (as special envoy for drought) was recently calling for water to be made available to buy fodder, Victorian fodder producers were selling water at very high prices to Sunraysia, where there are huge new nut developments. Slattery says we are moving away from a diverse agricultural industry of rice, fodder, horticultural and dairy, and water is going to cotton and nuts, which are going to become dominant commodities in the Basin. We are, thus, seeing a real loss of family farms. “When Australians realise what this reform has done to the face of agriculture, what that has done in terms of who’s producing, they’ll be really horrified”. (Slattery). In response to the findings of the government-commissioned Vertessy Report into the Menindee fish kill, DAWR Minister David Littleproud has promised to buy back some grade A water licences as part of a suite of measures worth $70 million. It is not clear how many of these licences will be bought, from whom, and what the total cost will be. It is also not clear whether these water purchases will be open tender buybacks, or strategic purchases. The above investigation is published anonymously at the author’s request. Triskele’s identity and bona fides are known to us. Triskele is an academic and journal editor as well as independent researcher interested in politics, history, current affairs, books, languages, and “all things nerdy”. 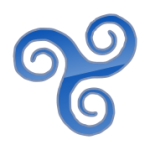 You can follow Triskele on Twitter @Triskeltic .